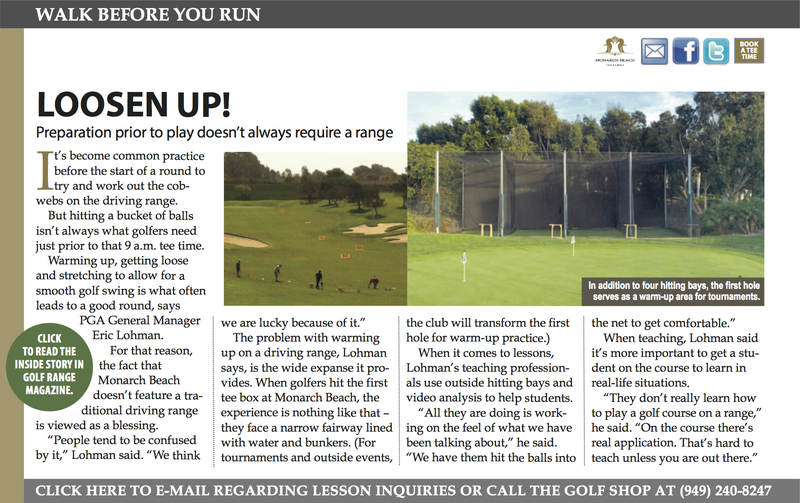 Monarch Beach Golf Links understands that some events & golfers would like to see their ball flight while warming up to golf. That is why we have the option to transform our first or tenth fairway into a driving range! In an effort to provide our guests with a memoriable experience, we have two custom driving range options to hit full shots (our 4 hitting bays are always available!). $25 per guest ($50 min.). Available prior to 10:00 am or after 2:00 pm. Interested? Call the Golf Shop at 949.248.3002 ext 5. Must book prior to 24 hours from tee time. This range comes with up to 10 hitting stations, golf ball pyramids and a personal range attendant. Rest assured the custom full driving range is set up two hours before tee off, then is disassembled and disappears in a mere 15 minutes before the event. 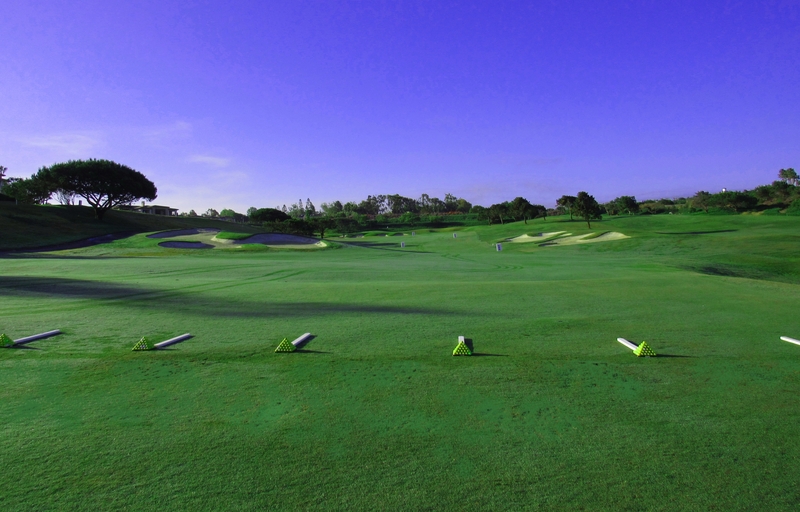 The price of the custom full driving range is comparable to a large bucket per player. If you are interested in learning more, please ask your tournament coordinator about this event upgrade.